This is a Home Spun Hand Knitted By Rural Women from Kenya 100% natural Wool. Kenana Knitter Critters charming designs are created from all natural homespun wool bought from local Kenyan women. The wool is dyed from plants grown in our Garden. Kenana Knitter Critter are rural women who utilise knitting skills to support there family's. We picked out the Zebra I love this and it was hand made which makes it even better Jayce is only 5 weeks but he seems to like this and it's natural. Also I love that they put the name on the tag of who made this. I will keep this around my son all the time so maybe this will be his favorite thing for comfort. 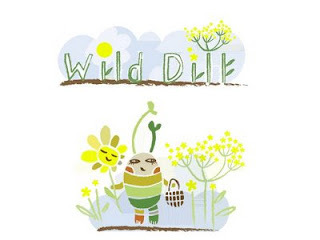 Giveaway Rules: Like Wild Dill on Facebook and Thank them for Sponsoring JennandJasonm giveaway let them know your from my written blog or if your from blog and youtube. Comment Below on What you would spend the Gift Card on. And you followed all rules. Must be a follower of my blog. Check them out on the web http://www.wilddill.com/. Check out my Youtube channel for a extra entry widget is located on the side and follow the rules in the video once it's posted. Let me know your blogger name so I can check for extra entry. Good luck! Giveaway Ends Wednesday September 28, 2011 at 9pm. I would use the gift card to buy the Speesees Organic Kimono Dress!